Looking for a star tortoise for sale? 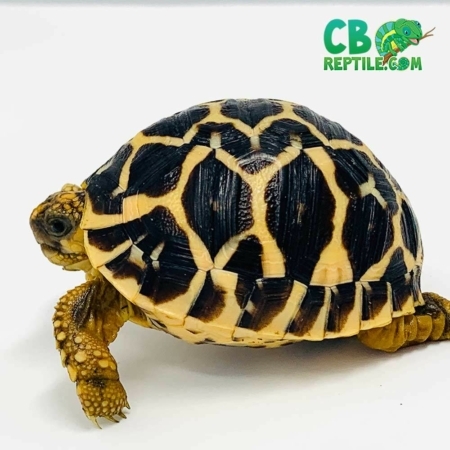 CB has a fantastic selection of captive bred star tortoises for sale online, including Indian Star tortoises for sale, Sri Lankan Star tortoise for sale and Burmese star tortoises for sale online. As Indian Star tortoise breeders as well as being a Burmese star tortoise breeder we enjoy working with this fantastic species of star tortoise. Shop with confidence that your new baby captive bred star tortoise for sale will arrive healthy and alert the very next morning after shipment from our facility to your doorstep! 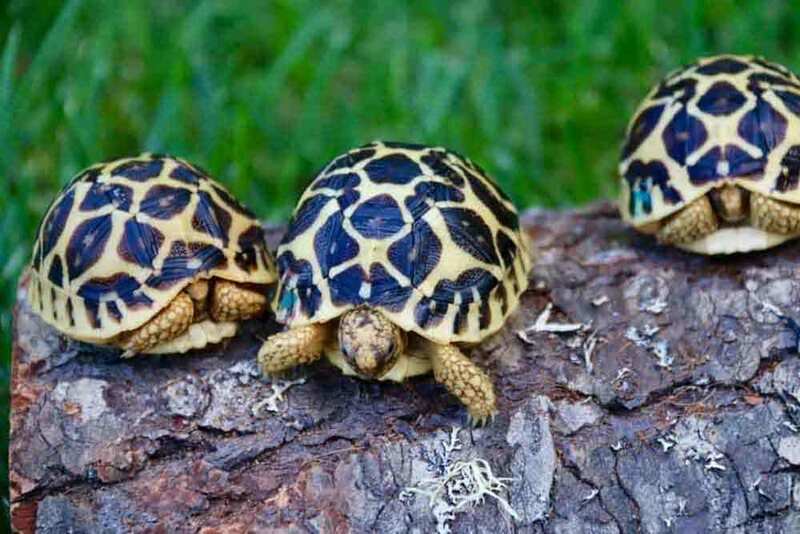 Star tortoises make up the most beautiful family of tortoises! Star tortoises make up one of the most beautiful families of tortoises in all of the shelled kingdom! For thousands of years, locales have thought of the star tortoise to be one of the most beautiful creatures in the region. Poaching, however, has diminished their numbers in the wild to levels already to be considered near extinct or extinct. Star tortoises get their name from the beautiful yellow to orange bands. These bands are contrasted over their deep black shell. 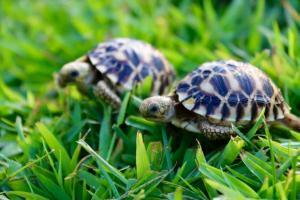 Indian Star tortoises are both the most popular AND the smallest of the star tortoise species. 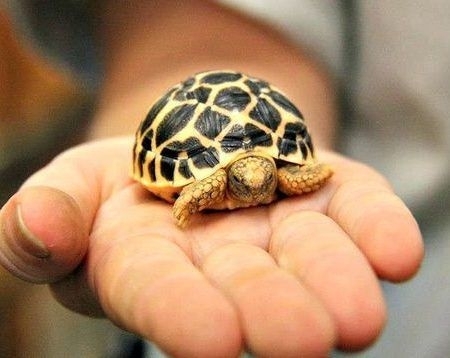 An average Indian Star tortoise will grow to about 9″. 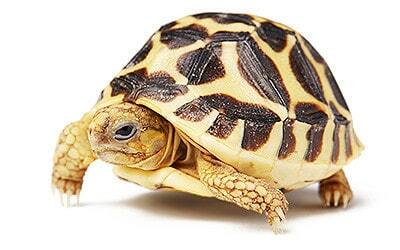 Male Indian star tortoises will get no larger than 6″ with most in the 5.5″ range. Female Indian Stars will grow 7-9″ and are noticeably both larger and heavier than males. 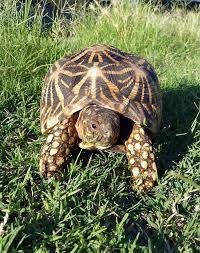 Indian Star tortoises for sale online are available from time to time thru captive Indian Star tortoise breeder programs. Here at CB Reptile, we have a beautiful group of 6 males and 14 females that produce around 75 baby Indian Star tortoises per season. For this reason, like most small tortoises, Indians are a bit on the expensive side running 5-650.00 per baby. 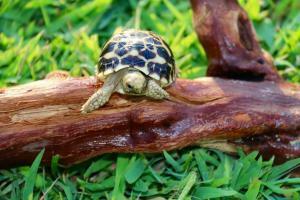 To view our current baby Indian Star tortoise stock, visit the link. More than just Star tortoises for sale! 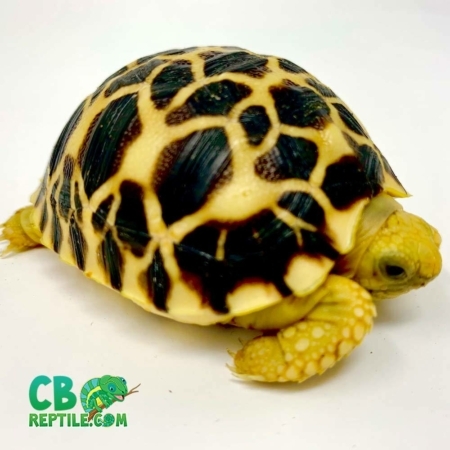 Cb Reptile is proud to offer OVER 20 species of healthy, captive-bred baby tortoise for sale including red foot tortoise for sale, yellow foot tortoise for sale, cherry head tortoise for sale, Sulcata tortoise, leopard tortoise, giant leopard tortoise, Greek tortoises for sale online, eastern Hermann’s tortoises for sale, western Hermann’s tortoise for sale, as well as many other species of tortoise for sale and turtles for sale. Land turtles, also known as box turtles for sale are also available at CB. As tortoise breeders, we focus on using only the best breed stock to provide our customers with healthy, happy and active top quality specimens that are sure to please any turtle or baby tortoise enthusiast for decades to come. 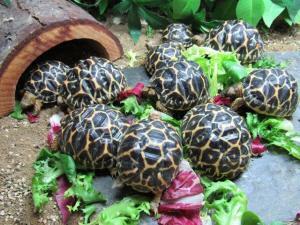 Our tortoises for sale online include nothing but 100% captive bred tortoise breed stock. In addition, we also offer geckos for sale, including leopard geckos for sale, crested gecko for sale and gargoyle gecko for sale. Choosing a pet gecko for sale can be tough. The most popular pet geckos for sale are the leopard gecko, crested gecko, African fat-tailed gecko, and gargoyle gecko. If pet snakes are your thing, we have the widest selection of baby ball python for sale anywhere. With over 50 ball python morphs for sale, shop CB reptile for your new ball pythons for sale. Lastly, if you’re considering a new pet iguana for sale, we’ve got the best iggies on the internet! Whether it be a blue iguana for sale, red iguana, or baby green iguana, even hand tamed baby rhino iguana for sale, CB has them all! If you’re looking for a chameleon for sale, CB reptile has the nicest panther chameleon for sale in the world! CB has much more than just pancake tortoises for sale! We breed over 22 species of tortoise for sale including Red Foot Tortoises for sale, yellow foot tortoises for sale, leopard tortoises for sale, Sulcata tortoises for sale, Hermann’s tortoise for sale, Indian star tortoises for sale, Burmese star tortoises for sale, Sri Lankan tortoises for sale, Greek tortoises for sale, Marginated tortoises for sale, Russian Tortoises for sale, Aldabra tortoises for sale, Burmese mountain tortoises for sale, and many other species of baby and adult tortoises for sale online. 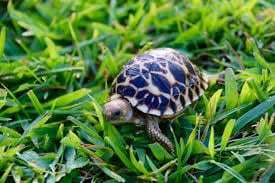 Indian Star Tortoises for sale, as well as Sri Lankan Star Tortoises and Burmese Star Tortoise for sale, are the 3 main species of star tortoise for sale. 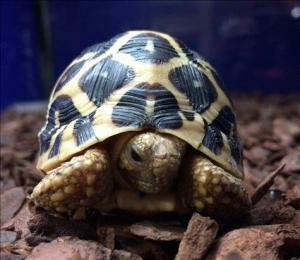 Looking for a star tortoise for sale? 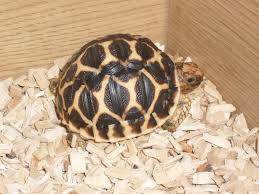 We have a fantastic selection of captive bred star tortoises for sale online, including Indian Star tortoises for sale, Sri Lankan Star tortoise for sale and Burmese star tortoise for sale online.